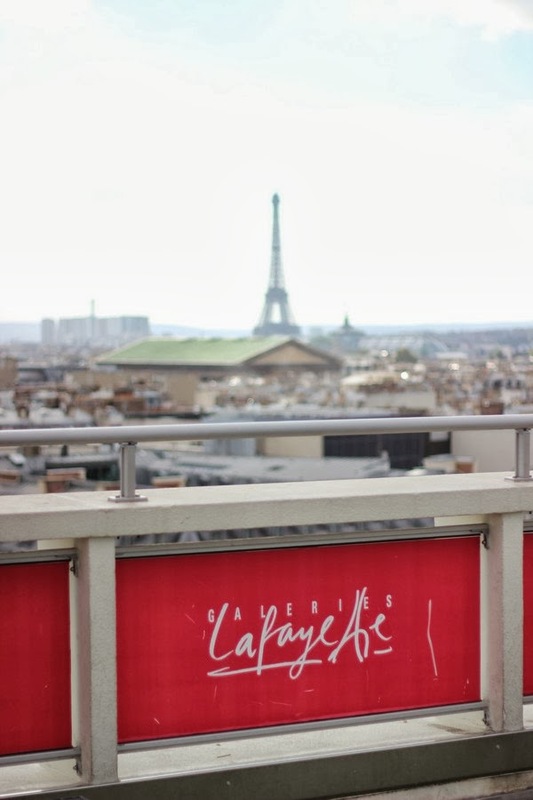 I had the chance to attend a fashion show put on by the mothership of all department stores, Galeries Lafayette here in Paris. This gorgeous 10 story building is located on bd Haussman in the 9th and has the distribution rights to hundreds of different brands ranging from Haute couture (think top designers like Dior, Prada and Marc Jacobs) to casual wear and Pret a Porter. It also has an amazing terrace and view to boot! As registration was mandatory and all spots had already been filled, I was put on the cancellation list and told to come to the 7th floor of this gorgeous store before the start of the show. If there was a cancellation, I would be able to attend. So I went...alone. I waited patiently in line (more like a large jumble of pushy people) and once I reached the entrance was told to 'wait here' until it was certain that there was a seat available. A few minutes later I was seated, in the very back row. Not ideal for pictures but this girl was not complaining. I got in! I was perfectly content with my seat and was pleasantly surprised when the nice french door man came to get me and re-assign me to a lone seat in the front row! Maybe it wasn't such a bad thing that I went alone after all. The show featured several of the brands sold at the store. Here are some of my favorite looks. 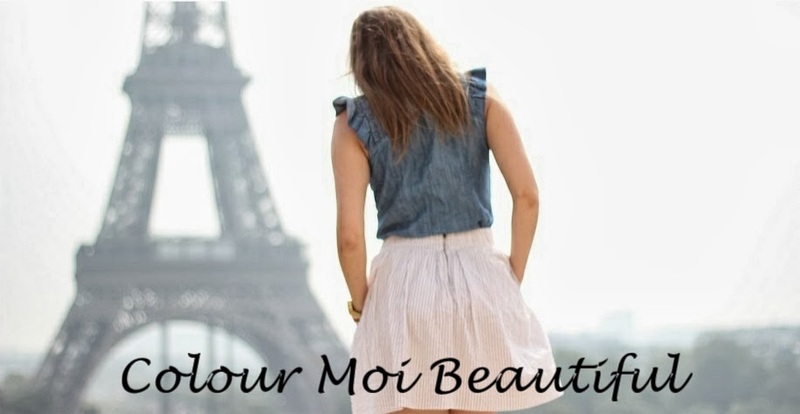 Copyright © at Colour Moi Beautiful 2012-2013 all rights reserved. Powered by Blogger.